One of Jamaica's most outstanding vocal talents, Johnny Clarke has never achieved the international acclaim of some of his compatriots, and he even fell from favor in his homeland in the 1980s. However, in his heyday, during the mid- through late '70s, the singer recorded a stream of crucial cuts, as well as a bundle of seminal albums. Clarke has also had an inestimable impact on the dancehall scene, which in his day was still the preserve of DJs. His ability to write new lyrics, mostly in a cultural vein, to classic rocksteady hits opened the dancehall door for vocalists, and most critics acknowledge him as the first of the dancehall singers. Certainly his influence on such stars as Sugar Minott is evident. Clarke was born in Whitfield Town, Jamaica, in January, 1955. He began his career in the talent contest circuit, and a win in 1971 at Tony Mack's talent show brought him a meeting with Clancy Eccles. The producer was impressed enough to record the singer's debut single, "God Made the Sea and the Sun," but was apparently unwilling to publicize it, at least that's how Clarke interpreted the song's lack of success. Impatient, he left Eccles and eventually hooked up with producer Rupie Edwards. Perhaps Clarke's complaint was correct, for he immediately scored a clutch of hits with Edwards. "Julie," "Everyday Wondering," and "Ire Feelings" all shook the charts in 1973. The latter single provided the template for the producer's own massive success with "Ire Feelings (Skanga)." The following year, Clarke cut a number of singles for a variety of different producers, including "Jump Back Baby" for producer Glen Brown. However, although Clarke was already a well-known figure, it was only after he joined forces with producer Bunny Lee that the singer reached his full potential. Lee, who had made his name in the rocksteady era and helped inaugurate the shift to reggae, was undergoing his own period of creative brilliance, introducing the "flying cymbal" sound that swiftly became his trademark and earned him the nickname "Striker," whilst also delving into the possibilities of dub. Together the two men would unleash a host of unforgettable singles, opening with the massive hit "None Shall Escape the Judgement." 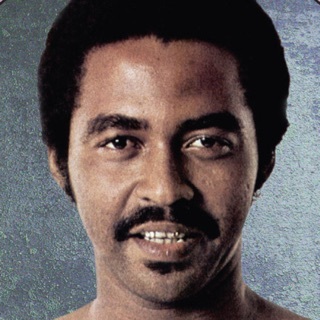 Intriguingly, Clarke would divide his time between radical roots and exquisite lovers rock, with a third pole of remarkable cover versions, with by John Holt and Delroy Wilson particular favorites. Over the next two years, the singer inundated Jamaica with hit singles including "Move Out of Babylon Rastaman," "Rock with Me Baby," "Enter Into His Gates With Praise," "Too Much War," "Joyful Festival." But most notable of all was a cover of Bob Marley's "No Woman No Cry," an international smash which sold a whopping 40,000 copies in Jamaica alone but was to have unforeseen consequences. The singer's first two albums, 1974's None Shall Escape the Judgement and the following year's Moving Out, were both hits-heavy collections while also boasting some hefty doses of cover versions. The U.K. Vulcan label's I'm Gonna Put It On, also released in 1975, featured both. The Trojan label would later also compile up much of this material for the Enter into His Gates with Praise album. Half the record was culled from None Shall Escape, with the rest rounding up other hits and covers. The British Attack label's Don't Trouble Trouble offered up more recordings from this period and includes songs that didn't make it onto None Shall Escape the Judgement album. Virtually all of the tracks, however, were worthy of inclusion on that debut record. There was little surprise when Clarke clinched the Artist of the Year award in 1975 and 1976 (and then annually for another three years after that). By 1976, the singer had come to the attention of the Virgin label's Front Line subsidiary, to whom he now signed. The new relationship was cemented with the absolute masterpiece Rockers Time Now. The production is a dream, the flying cymbal rhythms as sharp as a scythe, with Lee's house band, the Aggrovators, laying down a potent mix of roots, rock, and almost dreamy backing as always. With King Tubby giving it all a dubby mix, the record remains one of the crucial releases of the roots era. Again a mixture of originals and covers, Rockers is pure dread and boasts incredible versions of gems from the likes of the Abyssinians and the Mighty Diamonds; the former's "Satta Massa Gana" is an absolute stunner, as is the cover of the latter group's "Them Never Love Poor Marcus." Rockers Time Now was followed up by the fabulous Authorized Version album, produced by Bunny Lee and boasting another big hit, "Roots Natty Roots Natty Congo." However, apparently Rockers Time Now and Authorized Version didn't live up to Front Line's expectations, and the label, having received two of the greatest records of the age, promptly dropped the artist. In 1991, the label would cull from both these albums for the Authorised Rockers compilation. Undeterred, Clarke released his third album of 1976, Don't Stay Out Late, made available in Britain by the Paradise label. The only reason it received somewhat less acclaim than his Front Line albums is because people were still raving about them, particularly Rockers Time Now. However, Don't Stay Out Late features such seminal songs as "Judgement Day" and "Blood Dunza." 1977 brought two more albums, Up Park Camp and Girl I Love You, both picked up for the U.K. Justice label, where Clarke now had a sizeable fan base. Understandably, although both are excellent albums, neither could equal their predecessors. Afterwards, Clarke inked a deal with Third World for his U.K. releases and kicked it off with 1978's Sweet Conversation, less dread than some of its predecessors, but boasting some exceptional John Holt covers. King of the Arena was a quick follow-up this same year and perhaps suffered accordingly and was not quite up to Clarke's previous standards. Better was Lovers Rock, a shared album with former Paragon Pat Kelly and Hortense Ellis (sister of the soulful Alton). Sadly, Clarke and Kelly never share a mike, but the sublime duets between Ellis and Clarke make up for this lack. A follow-up the next year, Lovers Rock, Vol. 2, boasting the mighty Delroy Wilson and Doreen Schaeffer, was not as successful, brought down by the less than stellar choice of material. Clarke was also paired by Bunny Lee with Barry Brown for the Sing Roots & Culture album, which featured a slew of hard-hitting cultural songs from both artists. Confusedly, some of the tracks are retitled, such as Clarke's "Blood Durza," which here appears under the title of "Fight for Money." During this same period, Clarke was also mashing up the dancehalls in collaboration with Dillinger. A couple of years back, the DJ had utilized Clarke's "Move Out a Babylon Rastaman" rhythm for his own "Commercial Locks" hit. It was actually the third time around for the rhythm, and Clarke's own was based on John Holt's "Sad News." The two now paired up for a clutch of hits including "Empty Chair," "Waiting in Vain," and "Babylon Yard." Clarke also tried his hand at self-production for the wonderful "Jah Love Is With I," utilizing the potent talents of the Revolutionaries. He also took a seat behind the desk for recordings by Alphonso Love and Biddy Brown. The singer ended the decade with the Satisfaction album, while the Showcase compilation bundled up another batch of recent Bunny Lee-produced singles. Two compilations nicely showcase the best from this period. Originally Mr. Clarke from the Clock Tower label features the singer at his most dread, bundling up a clutch of Bunny Lee-produced rebel masterpieces. The U.K. label Blood & Fire adds rarities to the concept on Dreader Dread 1976-1978 and boasts a number of long-lost 12" mixes. As the '80s dawned, Clarke linked up with producer S Douglas and continued down his hit-strewn path. 1980 brought the seminal Down in a Babylon album, with the title track proving to be another sizable smash. The following year saw "Rude Boy," "Can't Get Enough," and "Guide Us Jah" all hit the charts. The singer rejoined Bunny Lee for the I Man Come Again, and if the last few albums had seen a slight lessening in intensity, this new one found the singer performing with a full charge. 1983 brought a split album with Cornell Campbell for the Johnny Clarke Meets Cornell Campbell in New Style album, which found the singer moving effortlessly into the age of dancehall. Clarke's singles continued to clamber up the charts; "Give Me Love," "Young Rebel," "Get in the Groove," "Stop Them Jah," and the Joe Gibbs-produced "Like a Soldier" all impacted across the island over 1981 and 1982. But even as the hits were chalked up, inexplicably Clarke's record sales were sagging, possibly due to the fact that for the singer, getting radio play was like pulling teeth. Even stranger, year after year he remained a prominent omission from Reggae Sunsplash. Clarke saw a conspiracy and put the blame firmly on the estate of Bob Marley. The point of contention was the singer's cover of "No Woman No Cry" back in 1976, a song that Marley himself had deliberately not released as a single, in hopes of it pushing up sales of his album. It's hard to imagine that these imaginary lost profits were behind Clarke's increasing difficulties, but the singer could find no other explanation. Certainly his succession of hits and five triumphs as Artist of the Year should have seen him starring at Sunsplash, never mind insuring heavy radio play. It was indeed peculiar. In disgust, Clarke left Jamaica and immigrated to London in 1983. There he hooked up with producer Neil "Mad Professor" Fraser and recorded Yard Style, which included such crucial cuts as "Mount Zion" and "Nuclear Weapon." The following year, "Nuclear Weapon" was released as a single and swiftly smashed its way up the chart. The pair followed it up in 1985 with Give Thanks, an equally strong set. Clarke joined forces with the Rydim Twins for the same year's Sly & Robbie Present the Best of Johnny Clarke which features some marvelous updates of old classics.